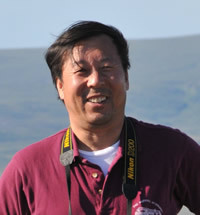 Tingjun Zhang is a Senior Research Scientist at the National Snow and Ice Data Center and a Fellow at the University of Colorado at Boulder Cooperative Institute for Research in Environmental Sciences. He has spent more than 20 years studying permafrost and frozen ground.Â His most recent research investigates how climate change affects permafrost and frozen ground. 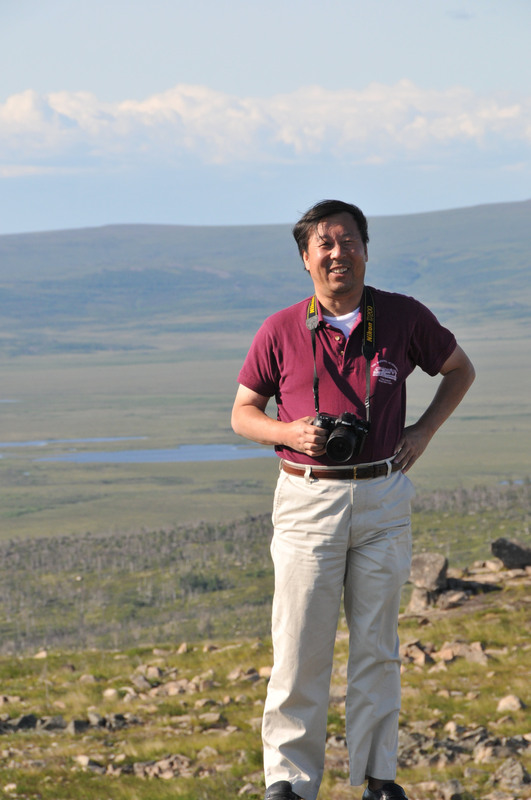 Dr. Zhang served as a lead author of the chapter on snow, ice, and frozen ground in the Intergovernmental Panel on Climate Change's Fourth Assessment Report, released in 2007. 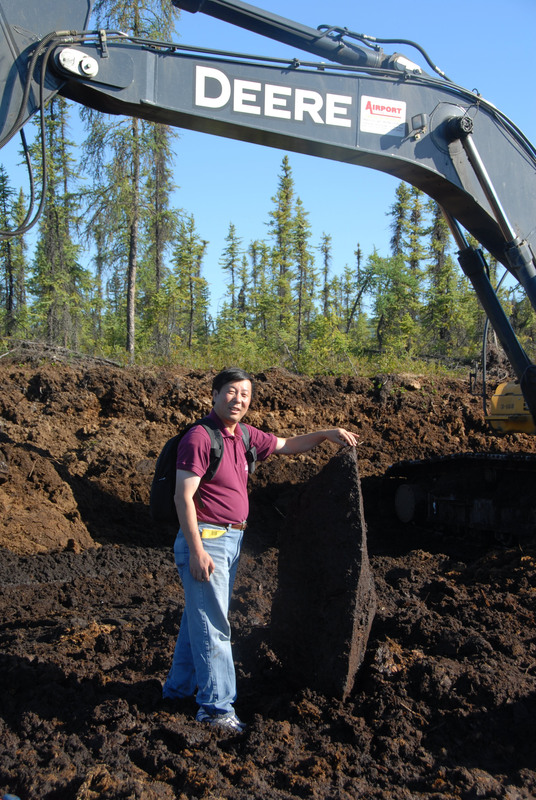 Originally from the town of Yima in China's Gansu Province, Dr. Zhang received his PhD in 1993 from the Geophysical Institute, University of Alaska Fairbanks. What kind of scientist are you? What kinds of things do you study? My PhD degree is in geophysics, but I'm actually a geocryologist, which is the special term for people who study permafrost. I study frozen ground, including permafrost and seasonally frozen ground. I also study issues related to frozen ground, like climate change and snow cover. I study how frozen ground affects carbon exchange between the land and the atmosphere, hydrological cycle, landforms, in Siberia, Alaska, and the Tibetan Plateau, and sometimes in the entire Northern Hemisphere as a whole. During middle school and high school, even in college, I didn't think about becoming a scientist. I wanted to be an engineer. But I turned out to be a scientist because the opportunities were in science. After I finished high school I went to the Tibetan Plateau to work on permafrost, and there I started to become interested in permafrost. I went to college to study geography and then I went to Alaska to study permafrost. Figure 2. 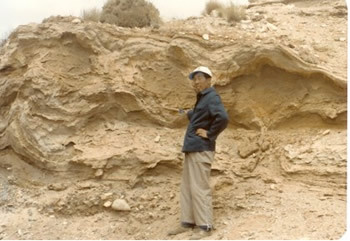 Tingjun Zhang on the first terrace of the Kunlun River bank, on the northern Qinghai-Tibetan Plateau in 1985. I like going to different places. I go to a lot of places other people can't go, like mountains, the Tibetan Plateau, the Arctic, and other bizarre places. What schools did you go to in order to become a permafrost scientist? After I finished high school, I went to work on the Qinghai-Tibet railroad. China wanted to build a railroad to Tibet, so they hired a lot of people to do work along the railroad and do the design for the railroad. In 1975, I was lucky to get hired to help the scientists and engineers carry batteries and boxes for an entire summer! I was only 17, and it was my first real job. There I learned what permafrost is. After six months in Tibet, I realized I really wanted to become a scientist or an engineer, so I had to go to college. I went to Lanzhou University for three and a half years, and after that I went to the Lanzhou Institute of Glaciology and Geocryology, Chinese Academy of Sciences. I was there for almost a year and a half, and then I enrolled in their graduate studies program and focused on permafrost. I worked there for a couple of years and got my master's degree, and then I went to Alaskaâ€”the perfect place for permafrost studies. I studied there for almost five years and got my PhD in 1993 from the Geophysical Institute of the University of Alaska Fairbanks. I grew up in the farmland of Gansu province, China, in a very small farm town. It was near Qingyang, a city of 20,000 people back then. I lived there until I was 17. There's seasonally frozen ground there. I remember every winter it was so cold that the ground froze hard like concrete. It was really hard to dig into the ground. I had no idea I would study that in the future! I was back there last month. We had a 50-year anniversary of our middle school, where I was invited to give a speech. What kind of research projects you are working on now? I'm currently working on a project on frozen ground and carbon cycles. All the permafrost in the world stores almost 930 gigatons (930 billion tons) of carbon, which is more than double the amount in the atmosphere we now have. So if the permafrost thaws, most of that carbon will potentially get released to the atmosphere. We're studying how frozen ground is changing and how it will affect carbon cycle in cold regions. Figure 3. 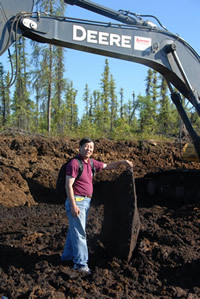 This photo shows Tingjun in Alaska studying permafrost.Â He is holding a slab of permafrost dug from the ground, which was cut up into samples and analyzed later at the University of Alaska -Fairbanks. I also use satellite data to study seasonally frozen ground. We can detect whether the top ten centimeters (four inches) or so of soil is frozen or not frozen. This is important for figuring out a scientific mystery—we think the mid-latitudes are a carbon sink, but we don't know exactly where the sink is. It could be that as the frozen season gets shorter, the growing season gets longer, leading to more photosynthesis and more carbon into the soils. In the wintertime, however, we have more snow, which could be warming the ground, increasing the transfer of carbon from the soil into the atmosphere. Most of my research involves remote sensing using satellites, but I also do some fieldwork. I work with a group of biologists from the East Coast who are studying microbiological processes in permafrost. So my job is to go out into the field, look for different types of permafrost, look for carbon-rich permafrost, take samples and bring them back for scientists to use. At the same time, I conduct field studies to find out whether the permafrost is warming up. We study soil freezing and thawing using computers. We write mathematical equations, or models, to describe soil freezing and thawing processes and then put all of these equations and related parameters into a computer to do the calculations. For example, we can predict what may happen to frozen ground if the world becomes warmer in the future. Of course, there are still some unsolved issues in working with computers to study frozen ground and permafrost. We are working hard to solve those problems. I often work with a group of Russian scientists. Russia has a network of more than 900 monitoring stations for measuring soil temperature and monitoring permafrost. We try to get that data into our system and analyze changes in the permafrost in Siberia. If funds permit, we would like to set up a similar monitoring network in North America. Do you have a funny story from working in the field? When I was in Alaska as a graduate student, I was out in the field writing in a notebook when a cloud of mosquitoes swarmed in front of me. 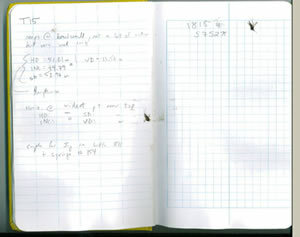 I closed my notebook and killed about ten mosquitoes! So I decided to leave that page blank with dead mosquito marks. When I went back to my lab, my professor asked me why that page was blank. He wanted to know what my observations were. I said that all I saw were mosquitoes! What research projects would you like to do in the future? There are many things I like to do in the future. If I have the opportunity, I would like to do more work on the Tibetan Plateau. China has built a corridor 10 kilometers (6.2 miles) wide and about 1,000 kilometers (617 miles) long over permafrost on the Plateau. They've built a railroad, a pipeline, and a communication line along that corridor. It's a great opportunity to monitor and study how the environment there is changing. Tibet is like a watchtower because it's high in elevation and because three major rivers originate on Tibetan Plateau. If something changes to affect those rivers, it will have a dramatic impact on water resources used by about half the world's population. I would also like to do a comprehensive study on the changes in seasonally frozen ground, using satellites, computer models, and field investigations. Compared to permafrost, seasonally frozen ground changes much more quickly, across a much larger geographical area. Seasonally frozen ground exists in the middle latitudes, and affects the daily lives of many people. How has the study of permafrost changed since you were in college? When I was in college studying permafrost, most of the research was driven by industry. Oil companies and others working on permafrost needed to understand how permafrost was changing, because it could affect things like the Alaska Pipeline. Now that climate change has gotten much more attention in the scientific community and in the minds of the general public, a lot more people are starting to study permafrost. We're seeing more global monitoring and all kind of programs on frozen ground getting more interest, not just in the permafrost community but also in the geoscience community and science community in general. Figure 4. 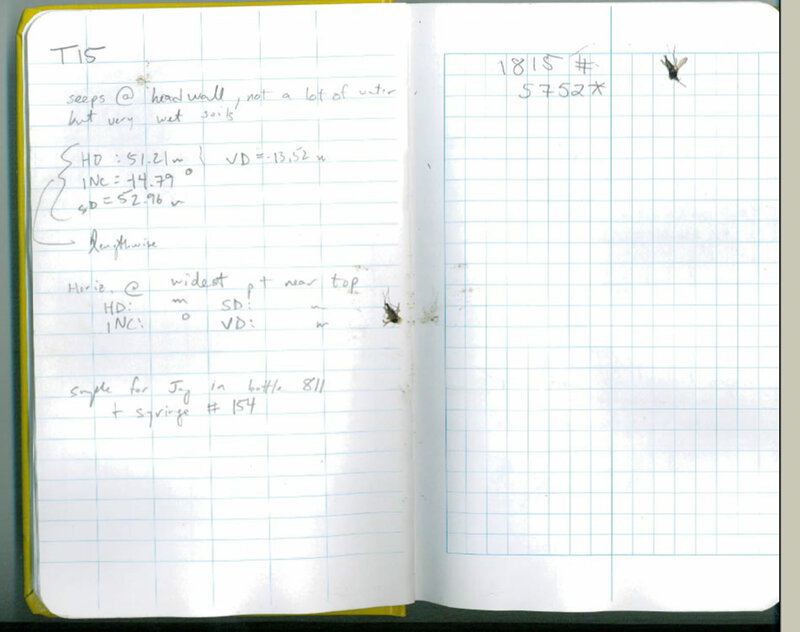 This notebook from an Alaskan researcher in 2006 caught some mosquitoes of its own! Are you concerned about the impact of climate change on permafrost? Our data shows that permafrost is warming up and the active layer is getting thicker. We're seeing several different changes that, combined, give us a signal: permafrost is degrading quickly all around the world. It's happening faster than we thought, and we really need to do more research to understand what's going on. But we do need to let the public know that if permafrost and frozen ground degrade and retreat, we'll have serious consequences. Without permafrost in a region, ecosystems will change completely. Carbon can also be released from permafrost into the atmosphere, which could accelerate global warming. Thawing permafrost completely changes the hydrologic cycle, which will affect vegetation and the rest of the environment. And most importantly, changes in permafrost will have serious impacts on people that live in cold regions. For example, bridges may collapse, highways may become damaged, and railroads may not work. It's pretty clear that degrading permafrost will have serious consequences. I like my job because it's challenging and because I'm always looking for something new to explore. Every day I learn more but I also come up with more questions. I also like having the opportunity to tell people what's happening on permafrost and to produce science that can inform policy makers. What advice do you have for a young student who wants to become a scientist? Students should just continue to be curious. I wasn't always the best student in the class, but I was always curious why things happen the way they do. So just be more curious, believe in yourself, and you can start to look into questions like why no two snowflakes are the same. Curiosity is really the most important trait of a scientist.